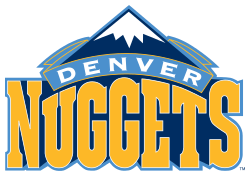 After a disappointing end to the 2017 season, the Nuggets should be in the Western Conference playoff hunt again. This should be a fun team to watch, as there is a ton of young talent who will be playing in an uptempo offense. They drafted a highly touted rookie in Michael Porter Jr., who comes with major injury concerns, and added Isaiah Thomas, one of the best scorers in the league who also carries a ton of injury risk. So there will be a lot of question marks going into the season, making it difficult to predict how they will finish in the Wild Wild West. However you slice it, this team is flush with fantasy players who I will want on my team. The West doesn’t get any easier. Actually, it gets more difficult with the Lakers becoming an instant playoff team with LeBron, leaving one less slot for teams who didn’t make the playoffs last year like the Nuggets. The addition of Isaiah Thomas definitely strengthens their roster on paper, but as we saw in Cleveland, he has to be in the right role for his teams to be successful. Michael Porter Jr. still has no timetable for a return to the court. I wouldn’t be surprised if they ended up with the exact same record as last year when it’s all said and done. It’s unclear how much the arrival of Isaiah Thomas will effect the minutes of Jamal Murray, but I’m not too worried and would draft Murray with confidence. He really improved last season and I expect more of the same this year. Murray put on 15 pound in the offseason to better finish in the paint, which is a good idea since he is one of the best free throw shooters in the league (90.5% last season). Isaiah Thomas had hip surgery in the offseason and was given a recovery timetable of four months. Six months later, and it sounds like he’s still not 100% healthy. I would have some concerns about drafting him, but at his price it could be an upside gamble worth taking. The Nuggets seem like a nice landing spot for him where he can fit right in. In real life, the Nuggets could have one of the best PG duos in the league. Gary Harris is the man at this position. He logged 34+ minutes per game last year and that probably won’t change much. Will Barton could slide down or Jamal Murray could slide up if they want to go small with Isaiah Thomas, but Harris looks to be a fantasy stud once again. Big minutes+great ratios= fantasy gold. Will Barton had a breakout year last year and I like him again this season. However, Paul Millsap missed half the season and I could see Barton’s numbers regressing a touch with less scoring to go around. He improved his free throw shooting and, if he keeps it over 80%, he should be a mid-round asset. Michael Porter Jr. looms large if he ever gets healthy, and that’s a big if. Even if he does return at some point, he’ll have an uphill battle for minutes if the Nuggets are in the playoff hunt. Juancho Hernangomez will take about 12 minutes a game, but barring an injury, he can be ignored for fantasy purposes. If Barton were to go down, he could be a streamer. Torrey Craig is another guy who could be interesting if someone goes down, but he probably won’t get enough minutes to be relevant when the Nuggets are healthy. Jarred Vanderbilt, their second round pick, is coming off of foot surgery and is another big unknown. Paul Millsap is looking to bounce back from an injury plagued ’17-’18 season in which he only played 38 games. He will be 34 in February, which is my main concern with drafting him. He could come at a bit of a bargain if drafters fade him due to his age, but there could be value in drafting proven guys over “sexier” rookies. The Nuggets know they have a true professional in Millsap, and if he stays healthy, I would look for him to bounce back nicely from last year’s disappointment. The other PF to look at in Denver is Trey Lyles. He’s not super exciting, but his numbers are decent and he makes threes out of the PF spot, which is always nice. There is some buzz around him in the Nuggets camp, but there’s only so much stock you can put into that. He’s really more of a watchlist guy than someone I’d be looking to draft. Great Preview of the Nuggets. I personally love this team with the Jamal/Harris backcourt combo, gonna be a great season! I was hoping you could help me out, I’m in a H2H 8 team league. Lemme know your thoughts on any of the guys listed above and if you could give me any feedback on my current team as is it would be greatly appreciated! Side Note: trying to trade for Doncic, who do you think would be a reasonable offer for the rookie? Im currently testing Gasol/Russel for Doncic/Valanciunas. Good move or Bad move? @Marcus: I like Covington above Ingram in an 8 team league. Probably Lopez as well. Mirotic probably the #1 guy you should add. He was a beast on the Pels last year. Could see any of these guys over John Collins as well, but I do like his upside. I think D’Angelo is a bit of a gamble as well when there’s proven consistent fantasy guys on waivers. A lot of those guys could be better than WCS as well, but could see him for blocks and upside. Been offered DeRozan and Brook Lopez for Gary Harris & Mirotic. Normally I am all about acquiring the best player in deal (who I believe is DeRozan), but I am second guessing myself on this. Do you take the deal? @Don Majikowski: Wow tough one. Hard to predict guys roles on new teams. I’d say hold. It’s a big risk to take before the season starts. Also, I really like Harris. Son is really down DeRozan as well which swayed me a little. I’m not as down as him, as I can’t imagine he’s not in the top 60, but Harris should land in the top 50 easily. If you think you need the scoring more. I could see going DeRozan.